Insert Ethereal Choir for added effect. "Then God said, 'Let there be light'; and there was light. And God saw the light, that it was good." It's one of the deepest ideas in our collective (un)consciousness. The Sun brings heat, makes plants grow, helps us wake, explore, work, create. Gods of the Sun and Moon are associated with law, arts, the mind, justice, protection, inspiration, all the things that make up the best part of being human. (And even the other nice thing about being human gets this treatment - Venus is, after all, the Morning Star.note In turn, that was a trait acquired from proto-indo-european dawn goddesses, whose derivations still are associated with love in known mythologies.) The lightbulb coming on over one's head is the genesis of a great idea. By light we can see the world; by extension, light lets us confront evil and destroy it, both within and without ourselves. It's the more or less obvious conclusion. Almost every RPG does this, some more than others. (It's always the holy magic that heals, never the dark.) For characters with light-based powers with this connotation, see Light 'em Up. Holy Hand Grenade is not out of the question. The polar opposite of Light Is Good is Dark Is Evil and its sub-tropes. Light Is Not Good originated as a subversion of this trope. Note, however, that Good Is Not Nice can also come into play if said hero has an affinity for light, and both Light is Good and Light Is Not Good may come into play, as a Hypocrite tries to pose as a good guy by taking on the trappings suitable for the good guys. If a story wants to use Light is Good and Dark Is Not Evil at the same time, it's generally justified as both forces being necessary for a truly stable and peaceful world, with the perceived 'evil' of darkness being a misunderstanding between the sides. See Light/Darkness Juxtaposition. Why having the sun appear is good. Also the reason White Magic is called that. Related to Heaven Above, since the sky and the light-bearing suns often go hand-in-hand when depicting the good God. This trope's relationship with the sun can often lend it to be used similarly to Rays from Heaven, Cue the Sun, and Watching the Sunset. See also Holy Halo, Shining City, and Shining Goodness. For more chromatic inspiration, see Color-Coded for Your Convenience. For light used as one of the Elemental Powers, see Light 'em Up. Daylight Horror and Light Is Not Good are subversions of this trope. Most Magical Girl series play this trope straight, with the heroines wearing bright and colorful outfits, having light/purity/Love related powers. In BTX The Hero Teppei rides a white B't Which eventually turns golden. Subverted in Death Note, where the character named Light appears to be a pretty good guy at first (or at worst a Well-Intentioned Extremist) whose ideas of morality and justice are just slightly askew. However, it quickly becomes a case of Light Is Not Good as he descends into corruption and madness... as a result of believing himself to be this. Angemon and Angewomon of Digimon Adventure are both angelic Digimon with golden hair who both debuted to promptly easily defeat a powerful dark Digimon with their powers of light. Angewomon takes this almost to ridiculous extremes - her partner is Hikari Yagami, whose first name translates to "light", and who uses the Crest of Light to make her evolve to Angewomon to begin with. Oh, and near the end of Adventure she started glowing. Though transforming tends to make them look more threatening in Dragonball Z, all the Super Saiyans, apart from the movie villain Broly, embody this with a golden hair and aura, even Vegeta by the end of the series. The two main heroes in Fullmetal Alchemist are blonde, with gold eyes to boot. That said, aside from the homunculus, the overwhelming majority of the villains invoke Light Is Not Good, and the only characters with anything resembling light powers are both villains. Except for the Colonel, who has light-themed powers and is most definitely on the heroic side. The titular main characters in JoJo's Bizarre Adventure use Hamon during Part 1, Part 2 and a bit in part 3. Subverted in that Kars uses it after obtaining the Ultimate Form, whose Hamon is actually hundreds of times stronger than what the main characters used. In Legend of Heavenly Sphere Shurato, The Hero wears a white armor (which also has a Golden Super Mode). Other characters associated with light (like Lady Vishnu) are good too. Most protagonists in Lyrical Nanoha feature white prominently on their Barrier Jackets, usually the most outer layer. Hayate and Reinforce Zwei take it one step further by having white as their magic colors. Mobile Suit Gundam Unicorn has Syam Vist, a kind old man in white robes and Banagher Links, who pilots a White Gundam known as The Unicorn that is named after a Beast of Light and Possibility. Hinata Hyuga defies what the rest of her clan stands for. Purity goes with light in Sailor Moon, and it becomes a common theme (most easily seen in the first anime's SuperS season). While this trope was sometimes averted by the original Saint Seiya and Saint Seiya: The Lost Canvas, in Saint Seiya Omega the Light Cosmo have been portrayed as a good force, opposed to Darkness Cosmo. In Shinzo this trope is played straight most of the time. Asuna, the female protagonist from Sword Art Online, wears white clothing, a stark contrast from male protagonist and Love Interest Kirito. Light magic in Destruction Flag Otome is only confirmed to be able to dispel curses, detect dark magic and heal injuries. Superman is powered in part by the light of Earth's yellow sun. As their Badass Creed says, Green Lantern's light is their power that the worshipers of Evil's might should beware. The GLs co-exist with several groups wielding light that are not so benevolent. In Zombies Christmas Carol pure, loving light, as represented by Fan and Fred, is universally good and can heal the zombies. In RainbowDoubleDash's Lunaverse, a world defined by its fear of the Sun, Princess Cadence stands out as the one example of this trope. Despite her Incorruptible Pure Pureness, she still chooses to evoke the Sun in her dress and heraldry. Cassandra in Angel Of The Bat starts to live by this. After her (unofficial) conversion, she wants to begin wearing a bright white uniform — not because dark is inherently evil, but she believes others will find hope in her new outfit. An underlying factor in the Contractually Obligated Chaos series is that there is a prophecy regarding Life and Death; the Avatar of Life embodies this trope. In Final Fantasy: The Spirits Within the Earth's Gaia is a bright pale blue light that is in direct contrast to the angry red of the Phantoms. In Legend of the Guardians: The Owls of Ga'Hoole, Boron and Barran, the two leaders of the Guardians use golden helmets and have a white plumage. Of course, considering they're snowy owls, it's not like they have much choice regarding their feather colour, and the villains are also the generally light coloured barn owls. In Rise of the Guardians, the characters associated with Light (like Sandman and the Man in the Moon) are good, opposed to the darkness of the Big Bad. Similarly, Epic plays this trope completely straight: The Leafmen use bright colored armors and are associated with light, while the villains seem more associated with darkness. This trope is played straight in most of the movies from the Disney Animated Canon. Oddly, Ray the firefly in The Princess and the Frog. His light abilities prove useful in fighting shadow demons. In Tangled, Rapunzel, a gentle, caring girl who is a Friend to All Living Things, loves daylight (as well as starlight) and has shining golden hair because her mother ingested a flower that had grown from a drop of liquid sunlight. In most of the Don Bluth movies. Though Bluth's movies also have aesthetically dark characters that aren't evil (The Secret of NIMH, for example), and the very last movie uses has villains associated with blue light. Being the benevolent overseer of the candles of life, the Candlemaker from The Book of Life, is this. Chief starts out as Dark Is Not Evil, being a black-furred dog with a gruff attitude and a determined attitude that helps his pack survive Trash Island. He later gets an Important Haircut that reveals that he actually has white fur with black spots, just like Atari's dog Spots, further linking them as long-lost brothers. Thanks to bonding more with Atari, Chief ends up becoming a nobler dog. Spots, Atari's guard dog and Chief's long-lost brother has white fur with black spots, and he's a noble and kind dog. The Light Side of the Force in Star Wars. The Expanded Universe is a bit more relaxed with this, though. Oddly enough, nobody ever calls it the "Light Side" in the original and prequel trilogies... it's only ever "The Force" and "The Dark Side of the Force." The entire idea of calling it the "Light Side of the Force" most likely came from fans making the "Dark Is Evil = Light is Good" connection on their own! The sequel trilogy finally uses the term. Tangina: When people die, there's a wonderful light as bright as the sun. But it doesn't hurt to look into it. All the answers to all the questions that you ever want to know are inside that light. And when you walk to it, you become a part of it forever. In the first The Lord of the Rings film, Arwen appears to Frodo in a flowing white gown with light radiating out from her. This is just a vision to Frodo but it symbolises that she is good and is there to help him. Though she does warn him that she could end up evil and remain like she is. A bit of a no-brainer but the stars in Stardust. They shine when their hearts are full of joy and happiness although Yvaine actually uses this as a weapon against the witches. Played straight in one of the very last scenes of Pan's Labyrinth, which shows the throne room from King & Queen of the Underworld as a golden place full of bright light, where Ofelia is received after she dies in the real world. The 1939 film version of The Wizard of Oz and Oz: The Great and Powerful play this trope straight with their respective versions of Glinda, the Good Witch of the South. 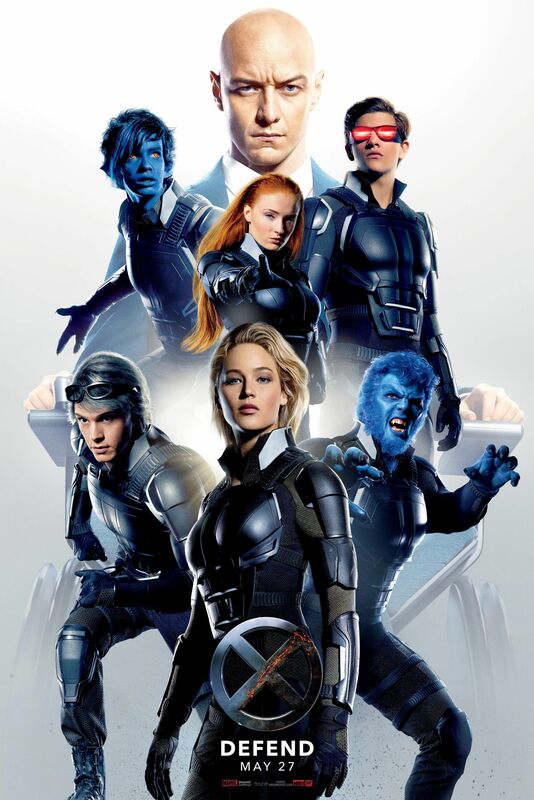 X-Men: Apocalypse: The pale grey background of the "Defend" poster ◊ (which promotes the heroes) signifies this. The doctor who treats Maria and confronts her mother is dressed in a strikingly white lab coat, in an office as clean, light, and comforting as him. The first thing Bernadette, a genuinely good Christian, can think of when asked to describe Heaven is "a great light," before going on to describe the songs the saints will sing and the great joy they will feel. Maria's mother insists her daughter is given a white dress in the penultimate scene, because she believes her daughter has proven herself to be completely pure, ignoring how self-destructive Maria's devotion has become. Deconstructed in The Queen's Consort, as while light is something embraced and dwelled upon by most of fairy kind, it is not a simple case of "light = good, dark = bad". In-fact, one of the biggest dilemmas in the story is that a random solar flare gives Elsa magic-based amnesia, making things harder for when the ritual to keep the darkness away needs casting. Night Watch's Light Others live and breathe this trope... though, it can be said that the series examines this trope, bends it, reshapes it, subverts it, averts it, and when all else is lost, the author throws in the towel and pretty much says that all bets are off. The Light in The Dark Is Rising series of novels is good, but not nice. However, while Dark Is Evil is mostly played straight, Light occasionally is actually evil as well too, with later instalments blatantly stating that balance is better. In the Wheel of Time series, the Creator and the Light. Subverted (for the most part) with the Children of the Light. In mythology and fantasy stories, light (particularly sunlight) severely impairs or even harms monsters. The Child of Light (and the Prophecy of Light) in The Belgariad. In The Dresden Files, sunlight is anathema to most creatures of the Nevernever, and can disrupt more negative and evil enchantments and spells. Also, the Swords of the Cross emit light that cancels out the powers of the Denarians. In Robert A. Heinlein's Magic, Inc., the heroes storm Hell because light always overcomes darkness (since darkness is merely the absence of light), and they are the forces of Light, so it does not behoove them to sit around reacting to the demonic forcs. Diane Duane's Young Wizards series works with this considerably, especially in the first book, although they play with it increasingly through the series and at the end of the third book have a decisive Redemption arc where it is shown that Dark Does Not Have To Be Bad. Of course, the fact that the Powers don't live within linear time means there are still loads and loads of incarnations of the Lone One running around being evil for books and books more, but they've finally given him the chance to start going home. T. S. Eliot's Choruses from "The Rock"
О Light Invisible, we praise Thee! In L. Jagi Lamplighter's Prospero Lost, Father Christmas tells Miranda, Mab and Mephisto that they can stay a while because all who serve the Light are welcome. In Teresa Frohock's Miserere: An Autumn Tale, only the good guys are capable of casting the light spell. In Poul Anderson's "Brave To Be A King", a beggar urges, "Alms for the love of Light!" Later two time travellers makes themselves glow to convince a king that they are heavenly messengers. In Robin McKinley's Sunshine, Sunshine herself. Yolonda wisely refuses to believe evil of anyone who draws power from sunlight even though she hobnobs with a vampire. In John Milton's Paradise Lost, continually used, for the angels, include those that later fell. The default in The Lord of the Rings and J. R. R. Tolkien's other words, though there's more subtlety to it than that: the Elves are associated with the cold light of the stars and later the moon, while Men are associated with the hotter, harsher light of the Sun. Tom Bombadil also notes that he remembers when 'the dark under the stars was fearless, before the Dark Lord came from Outside', so Dark is not intrinsically evil. In Jennifer Crusie's Maybe This Time, Andie urges ghosts to Go into the Light, assuring them that it's probably good, because light is. In the land of Caederan, Light is one of the two "supra-elements" that surround and infuse the four elemental magics. Each element has a light aspect, which is the proper and natural use of that element. In addition, it is possible for someone to turn you into an orah, those who "live aligned with light alone," and can access the light side of each of the four elemental magics. It's mentioned specifically that fire called by an orah burns hotter and cleaner, and is much easier to prevent from running amok, as compared to fire called by an aesh. The poem "Oxalis", by Nancy Cato, lovingly describes the flowers gleaming "like a streak of sunlight ". A term of romantic endearment between Fey is: "The Great Sun rises in your eyes, beloved." The heroine is compared favorably to Erimea, an in-universe star that illuminates the dark skies of winter. When Ellysetta saves the tairen cubs, their souls are depicted as living light, in stark contrast to the Well's anonymous shadows. Downplayed in Jeramey Kraatz's The Cloak Society. Still, light powers belong to good characters. The friendly optimist Neela just so happens to have light-based powers, meaning that her body constantly glows. Naturally, she glows brightest when happy. In the first book's finale, the protagonists cast a spell that merges their souls (and various magical powers). This results in the heroes literally glowing [[spoiler:with Neela's shared magic. In Warrior Cats, characters use rhetoric about the heroes being light fighting the darkness, their ancestors become stars and the cats go to the Moonstone which allows them to contact their benevolent ancestors and glows with moonlight. Most cats with light-related names are clearly good (Firestar, Whitestorm, Whitewing, Sunstar, Moonflower, Brightheart, Briarlight, Brightspirit, Shiningheart, etc.) - pretty much everyone besides Sol. As Dante explains in The Divine Comedy, "On high, joy is made manifest by brightness, as, here on earth, by smile." What he means is that the saints living in Paradise are encased in light that gets progressively brighter the closer they are to God. By the time Dante has ascended the first three spheres of Heaven, the light of the blessed is too bright for Dante to recognize people he knew back on Earth. Buffy the Vampire Slayer: Bright white haired Willow from the last episode of Season 7. Game of Thrones: Viserion is the dragon with white and gold skin, and is the dragon most tolerant to people aside from Daenerys. Hold the "good" after he Came Back Wrong. In Smallville, using some meteor powers emit a Sickly Green Glow. However, when an unambiguously good Chloe Sullivan gets Empathic Healing, her hand glows gold and white. The Ultramen are beings of light and defenders of the universe from monsters and other evils threatening it. Omnipresent in songs about being yourself or standing up for oneself, in which light is your "inner self" or strength or individuality or whatever. In the Lusitanian Mythology, the god Endovelicus was associated with light and healing, being obviously benevolent. However, the same mythology also has Neto, a sun god associated with war, and when Christianity settled in Endovelicus became identified with Lucifer. Manichaean scripture spread the idea of light being good and darkness being evil, which is likely why it sometimes shows up in mainstream Christian rhetoric despite the Bible not favoring either (as in the cases of Milcom, Satan and Lucifer being bad and the shade of the lord good). However, there are many a passage in canon Christian scripture that can be taken this way if not put against the work as a whole. Psalm 18:28 — You, O LORD, keep my lamp burning; my God turns my darkness into light. Isaiah 50:10 — Let him who walks in the dark, who has no light, trust in the name of the LORD and rely on his God. 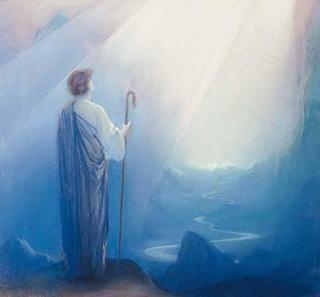 John 1:4-5 — In him was life, and that life was the light of men. The light shines in the darkness, but the darkness has not understood it. Romans 13:12 — The night is nearly over; the day is almost here. So let us put aside the deeds of darkness and put on the armor of light. Exalted gives us The Unconquered Sun, the divine embodiment of virtue and righteousness, created by the Primordial of dickery solely because he wanted to find out what would give him purpose. And boy, did he succeed there, as the Unconquered Sun saw that the Primordials were yoking Creation about and helped lead the struggle to overthrow them. His chosen, the Solar Exalted, are supposed to be like this... save for that little Great Curse thing. Sun gods in Dungeons & Dragons are generally always of a good alignment. Pelor from Greyhawk is Neutral Good, Lathander from the Forgotten Realms is Neutral Good. Amaunator, the defunct Netheril sun god, averted this trope by being Lawful Neutral, but upon being reinstated in the fourth edition (by fusing with Lathander) became Lawful Good. He became Lawful Neutral again in 5th edition. Prior to the 4th edition, where they could be good or evil, angels and metallic dragons, who will actively attempt to aid weaker races. The 4th edition still played this straight with the good dragon god Bahamut. The white color in Magic: The Gathering uses a sun for its symbol. It has by far the lion's share of cards concerning healing, protection, spells that disarm creatures or only destroy/remove creatures when they attack you, and creatures traditionally associated with good such as angels, knights in shining armor and honest soldiers. Depending on the block, white cards can just as easily make for Light Is Not Good, however. In terms of characters wielding White Magic, the most famous are heroic, but there's a sufficiently large amount of paranoid Knight Templars as well. So light is pretty much neutral in this setting. Both subverted and played straight with the Living Saints of Warhammer 40,000. They are shining examples of all that's good about humanity, avatars of the Immortal God-Emperor of Mankind, shining with light that causes most heretics to repent and desire to serve the Imperium, that fills the hearts of the faithful with unshakable courage and joy in serving the Emperor. Within the Imperium, almost universally accepted as unambiguously morally good, serving humanity selflessly in and out of combat and eventually sacrificing their lives for the good of the Imperium. Outside the Imperium, they're probably viewed no better than any other Imperial tool. The Stellaknight archetypes' appearance and implied role in the Yu-Gi-Oh! OCG saga started in The Duelist Advent implies that they are benevolent or even heroic. In BIONICLE, every sentient character has a dark side and light side, representing of course good and evil. These could be tapped into, to obtain either light or shadow powers, and naturally, shadow is easier to master, and makes one corrupt. To those who have light or shadow powers from the get-go, obtaining the opposite "element" can prove difficult, since the two powers tend to cancel each other out. This is a mostly late development, however. While bad guys were since early associated with darkness, the light in Bionicle was originally more ambiguous and meant to be "special" rather than "good". The Transformers' god, Primus, is often referred to as the "Lord of Light", and the Matrix of Leadership is meant to "light our darkest hour." Dr. Light, the good scientist in Mega Man (Classic). A reoccurring weapon that Link receives is the Arrow of Light. These are used against the main antagonists who have an affinity for darkness. One of Link's allies in The Legend of Zelda: Ocarina of Time is Rauru, the Sage of Light. Also, like the aforementioned statement for the Zelda series, one of Link's weapons is the Arrow of Light, which is used in the final battle against Ganondorf. In The Legend of Zelda: Twilight Princess, the Light Spirits of the four springs, who aid you and who keep the land peaceful. This trope is sprinkled liberally throughout the games as a whole. Many of the climatic scenes involving Link use dramatic lighting to grand effect - just watch any of the Master Sword sequences. Probably most prominently displayed thematically in The Legend of Zelda: A Link to the Past, where Ganondorf's dark power has corrupted the Sacred Realm (a Golden Land where the Triforce once resided) and turned it into the dangerous and evil Dark World. Subverted somewhat in Twilight Princess. Amaterasu, the goddess of the sun and mother of all life, in Ōkami. "I know now, without a doubt, Kingdom Hearts is Light!" The power of the Holy Light from the Warcraft universe can only be used by good hearted people (among other lesser requisites), has the power to heal and damages undead and demons. Sure there are people who aren't precisely good, however, they are able to use it since it still works if you're good only in your own mind. In Alan Wake, light is so good that flashbang grenades are lethal against evil. The sheer brightness from the lighthouse in the second DLC "The Writer" is very much One-Hit Kill against the Taken. So as long the boulders are cleared out. In The Haunted Mansion video game, evil ghosts cannot inhabit a lit room. Every puzzle in the game is figuring out how to light up the current room. The first Fable has this in spades, with light clothing giving you good points and dark clothing giving you evil points, and good characters morphing to have lighter features. The sequels ease up on it, but it's still present. Final Fantasy III has the warriors of light, to contrast the equally heroic warriors of darkness. While Cecil Harvey originally followed the brother trope, he manages to redeem himself as a Paladin, originally being a Dark Knight. In Final Fantasy VIII, Rinoa Heartilly is associated with angel wings, being her limit break, nice contrast from Squall, The Hero dressed in Black. In Final Fantasy X, Yuna serves primarily as The Heroine in a white/blue kimono. Her Summon Magic often involves light. Lux and Leona from League of Legends fit this to a T, the former having light based skills while the latter has sun-symbolism. Palutena of Kid Icarus is the good goddesses of light. Her sister, in contrast, is the evil goddesses of darkness. The Hero of the game is also rather light aligned with his own antagonistic Shadow Archetype to deal with, though he is aided by a shady Anti-Hero. Boktai has the solar child Django and his solar enpowered gun. In StarCraft II: Heart of the Swarm after Kerrigan kills General Warfield, a beam of light shines on her face as she calls the Swarm off, allowing his men to escape. Aurora, the titular Child of Light has light-elemental powers which she uses to fight the Queen of Darkness. She wears light yellow clothing and a completely white outfit at the end of the game. Shantae and the Pirate's Curse introduces to the series the concept of Light Magic, which is the power inherent to Benevolent Genies, and since the titular heroine is a half-genie, she naturally possessed it too. In addition to being the magic inherent to genies, Light Magic is the only thing that could harm the Dark Magic-fueled Pirate Master, though Light Magic could also be corrupted into Dark Magic if it was used for evil. However, the opposite is also true, and Dark Magic could be converted back into Light Magic if it's in the possession of a good person. The Fire Emblem series uses this often in combination with Dark Is Evil, especially in the older games. Light magic is often supereffective against dark magic, with users of light magic dealing heavy damage to dark magic users, while taking less damage from them in return. In games with monsters infesting the world map, light magic is supereffective against them as well. It's especially true in Fire Emblem Jugdral, when the 11th-Hour Superpower, the light tome called the Book of Naga, is the only weapon capable of easily taking down the Big Bad of Genealogy of the Holy War, a demon-possessed dark mage from a Cult of evil dark mages whose tome ordinarily cuts all damage he receives in half. In Smite, if there's a Light-based deity (mostly sun), they're going to be good and benevolent deity, such as Khepri and Amaterasu. Ra zig-zags on this, though. He used to be a good deity of light, but then got horribly poisoned by Isis (she has her reasons) that he snaps and starts using his light more destructively while being a jerk about it, but he's still keeping the world light from being consumed by Apophis' darkness. Pokémon Black and White: Pokémon Black has the player character pitting the white-colored Reshiram against N's black-colored Zekrom. White inverts this, with the player pitting Zekrom against N's Reshiram. Pokémon Black 2 and White 2: Pokémon White 2 has N using Reshiram to help the character battle against Ghetsis's Kyurem. In Romance Game Shall We Date? : Angel or Devil, two love interests are angels who wish to claim the protagonist. Satan orders a book to banish light. In The Red Star, Marcus's instincts cry out the something is wrong with the Psychopomp who appears to him . What we see is that he is dark and the being who appears to appears to dispute for his soul is bright . Homestuck: The White carapaces are all the good-guys. Rose plays with this, as she is the only light player to not fall into Light Is Not Good, but she's also the one most involved in darkness and destruction, though she never raises a hand to her friends and always fights with them. She becomes a more traditional example after her ascension to God Tier (featuring bright orange robes), and later when she's shown to use the Quills of Echidna. In the Magical Boy Creation Myth, Aurore, Goddess of Light bestowed light upon the world and banished Devoid from his role as dark lord over the planet before bestowing light onto the creatures that lived there. After her being was sacrificed in her efforts to banish Devoid from our dimension, her descendants take up the role of Magical Girl to keep Devoid and his minions from escaping. In Worm, Scion is this; he's a gold-skinned man dressed in white spandex who does literally nothing but save people. As of Interlude 26, this is averted in the worst possible way. Jem in almost all her incarnations is associated with light through her robot Synergy, with She's Got The Power being the most explicit about this. However, in a twist the heroes' association with light is in its potential for deception and illusions rather than truth. Stella from Winx Club gets her powers from the Sun (well, and the Moon, but mostly the Sun), and most of her attacks consist in casting beams of light. Despite her occasional selfishness, she cares a lot about her friends. Steven Universe plays with this trope. The Gems, beings made of Hard Light, are strongly associated with light, which enhances their visual of heroism and awesomeness. Rose Quartz is decked out in white and has a saintly appearance. However, over time we learn their faults and mistakes, showcasing that in spite of their initial image of perfection, the Crystal Gems are anything but, and have their own hang-ups that need to be solved through talking, not using a veneer of righteousness. And, you know, there's also an Evil Empire of other Gems, also made of light. The Toa of Light from the first Direct-to-Video movie, Mask of Light. Mata Nui when he now wears the Mask of Life. Played with in Raava in The Legend of Korra. On the one hand, she is the spirit of light and peace, certainly better than Vaatu, and eventually fused with Wan to create the Avatar. On the other hand, she is also an example of Good Is Not Nice, given she has disdain against humans, to the point that she had to be convinced to work with a clearly repentant Wan. Her essence can also be used by malevolent people for their own purposes, like Unalaq, which is the first person seen to use light energy. Though the fact that he later only uses dark energy in his waterbending and Jinora uses light without a medium would fool you otherwise. The Amulet from Trollhunters conjures armor and a sword made of pure daylight. "For the glory of Merlin, Daylight is mine to command!" Often averted, as many of the happiest places in the world are in Scandinavia and the Nordics, which are generally not known for sunshine. However, many of the happiest places in the United States are located in California, Texas and Florida; three states known for getting a lot of sunshine.